For a work to be considered “good” in God’s eyes the work must be in accordance with his will (his Law), it must must be done from faith in Christ, and proceed from a love for God. Such a strict standard, makes it impossible for someone who is not a Christian to do any good work in God’s sight. The world might see a “work” as good, such as Brad Pitt and Angelina Jolie adopting kids from Africa, but unless their work is done in faith in Christ and from the love of God, it won’t be a good work in God’s eyes, even if it is in line with his Law. Sad but true. Such a strict definition of good works is very helpful to us; it reminds us that we cannot save ourselves by our own actions. We are in desperate need of God’s saving grace, offered through the life, death, and resurrection of Jesus Christ. Would everyone agree that it is sinful to smoke? Yes or no? Civil-righteousness, humanity’s view of what counts as good works, is totally subjective. 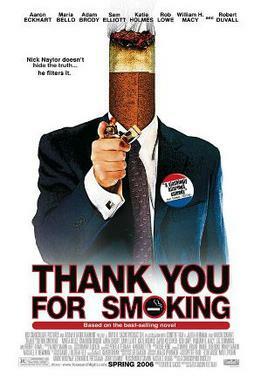 One person might think it is the best thing every to generously buy everyone a pack of cigarettes, while another person might think that promoting smoking in such a manner is horrible. The smokers would rejoice and praise the man’s generosity, the non-smoker’s like myself would care less, and the anti-smokers would want to string him up and flay him for all to see. The student pointed out that God provides an objective standard of morality. We do not. If anyone ever says, “God wouldn’t send me to hell people because I’m a pretty good person,” respond by sharing the two views of what’s good, let the person see that he or she might be good in some people’s eyes, but even by some of our own standards, he or she might not make the cut for being considered a good person. By God’s standard, we’ve all fallen short, but praise be to God, through our Lord and Savior Jesus Christ, that righteousness has been credited to us and that through faith we are declared holy in his sight apart from any of our merit and worthless ranking of civil-righteousness! Previous Post “Jesus could have had a twin brother.” – the script.